The females are the most important dogs in our kennel. Through these females we constantly try to improve our blood line. The females we use for breeding, are of excellent quality. 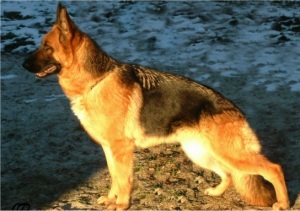 You will find a great number of important and historical german shepherds in the bloodline of our kennel. Below, we will soon place some information about the females that are currently important to our kennel.